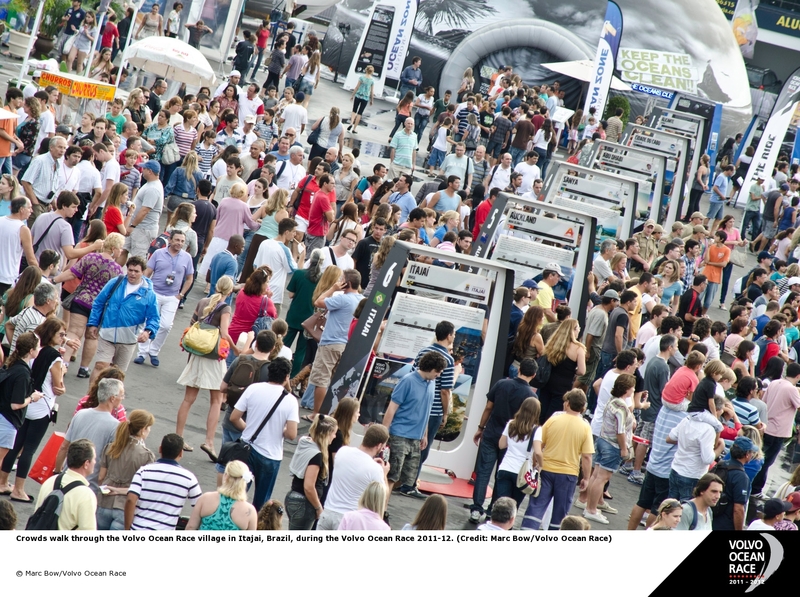 Itajaí will once again be a Host Port for the Volvo Ocean Race in 2014-15 following the huge success of the stopover there in the last edition. Tuesday’s announcement means Brazil will have two stops along the route for the 12th edition of sailing’s most prestigious round-the-world race after Recife was named as a Host Port last week. 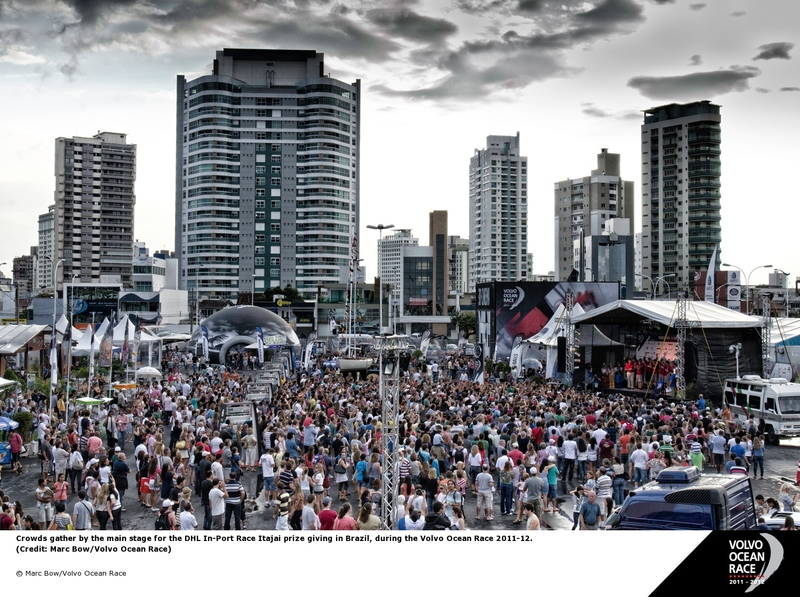 Itajaí, in the state of Santa Catarina, staged a memorable stopover in the 2011-12 edition with huge crowds packing the Race Village throughout and the port’s return to the route means the south of Brazil is joining the north east in the Race. A boat backed by the state of Pernambuco was also confirmed at last week’s announcement which will ensure a distinct Brazilian flavour for the Race's 12th edition in 2014-15 at a time when the focus of world sport will be on the country. "Making two stops in Brazil makes perfect sense at a time when the country will be the beating heart of sport between soccer's World Cup in 2014 and the Rio Olympic Games in 2016," said Volvo Ocean Race CEO Knut Frostad. "We are thrilled to be going back to Itajaí which proved to be one of the most successful stopovers of the last edition with a rhythm all of its own. 'We had huge numbers of fans in attendance on all the key dates and with the support of the city and the region we're looking forward to breaking those records next time." Once again, Itajaí will provide the long-awaited finish line for the teams following their rounding of the iconic Cape Horn in the Southern Ocean. "The leg through the Southern Ocean, around Cape Horn and on to Brazil was an instant classic in the last edition," said Tom Touber, the Volvo Ocean Race COO who made the announcement at the Castelo Montemar in Itajaí on Tuesday. "Going twice now to the vast, diverse and sports-mad country of Brazil is a privilege for us." Itajaí Mayor Jandir Bellini joined Paulo Roberto Bornhausen, State Secretary for Sustainable Economic Development, and other dignitaries at the announcement. "Hosting the Volvo Ocean Race once again is proof that Itajaí is capable of staging the biggest events in the world," said Mayor Bellini. "It is our goal to confirm Itajaí as a national capital of sailing." Exact dates of the stopover will be announced in February. The remainder of the route for the 12th edition of the Volvo Ocean race will be revealed over the coming weeks.